As I mentioned in the previous post there a tons of great recipes floating around for pickling beans. Every year we try our hand at a new recipe and this year was no exception. While we can’t tell you whether or not this one will stack up to our regular dilly beans it’s always nice to have something different in the larder. 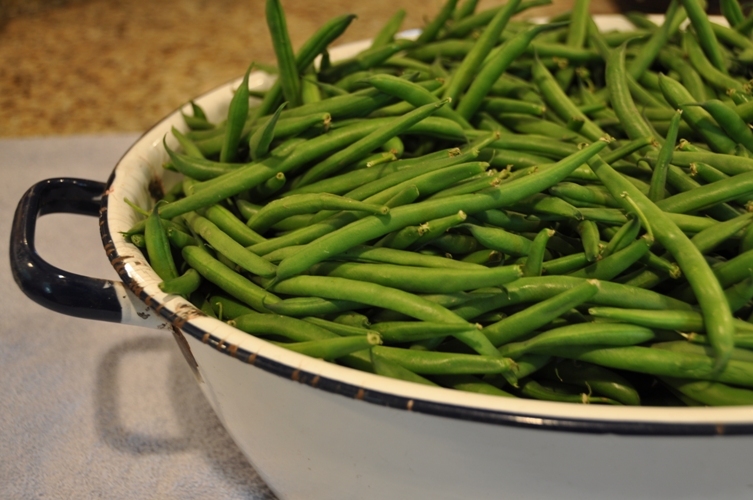 Besides, the beans keep growing and the only way to find a new favorite is to give it a whirl. In a large stainless steel saucepan, combine vinegar, water, and salt. Bring to a boil over medium-high heat, stirring to dissolve the salt. Divide the garlic slices and crushed black peppercorns evenly amongst the 6 – 500mL jars. Add more than 1 clove of sliced garlic per jar if you like. Place two basil leaves in each jar and tightly pack beans into jars to within 1/2″ of the top. Ladle boiling brine into each jar covering the beans and leaving 1/2″ headspace. Remove air bubbles and add more brine if necessary. Wipe rims with a damp paper towel, add lids and screw bands adjusting until they are finger tip tight. Honestly, I’m not sure why they are shrivelling…my thought is that the beans may be too big? 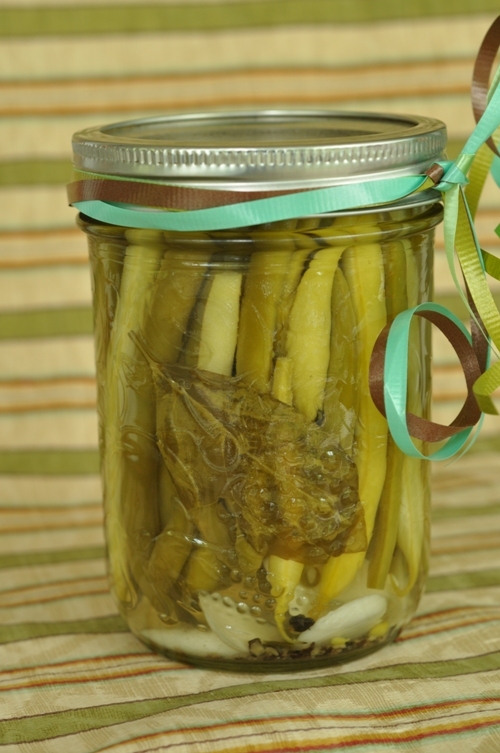 When we did the pickled asparagus…they shriveled but we determined it was mostly the larger pieces.